Shorte.st wouldn’t exist without users. Our team constantly strive to improve our product and develop the service for their benefits. However in our life there is proper time to laugh and proper time to work. So let’s focus and start to learn, because we don’t want the Shorteners to be short of money. How it looks in user panel? After log in, you need to open ‘Tools’ dropdown menu and choose Social Share Widget. Next, you should choose widget type (on the left) and copy the script (on the right). Then just paste the script in your website code. The Social Share Button is already working! So, if your reader decides to share your post on social media, he or she will do it, but without seeing an ad. ‘…without seeing an ad – you think – But when I’ll earn?’ . Let me explain. When someone click on the shared material, will see an ad on shorte.st interstitial page. At this moment you earn. As you can see, being Shortener is money for old rope! Why I should use Social Share Widget? 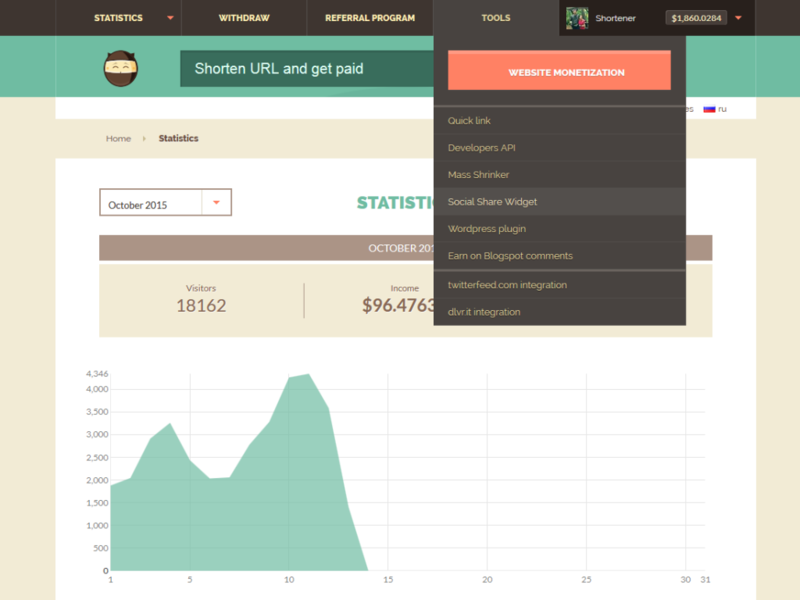 In conclusion, Social Share Widget allows you to monetize your website without showing advertisements to your users. An innovation is that your readers become your employees. Therefore, taking care of the content you publish is very important (but I’m sure, that you already know that). For the record: when the content is catchy, many people want to share it and going further, a lot of their friends want to check it by clicking the link. And at each such click you earn. The bottom line is that you earn on third parties, who aren’t connected directly to your blog/website, so you’re a double winner. I hope that this post was useful for you. If you’d like to know more or if you have any other questions, feel free to contact Shorte.st Support Team.